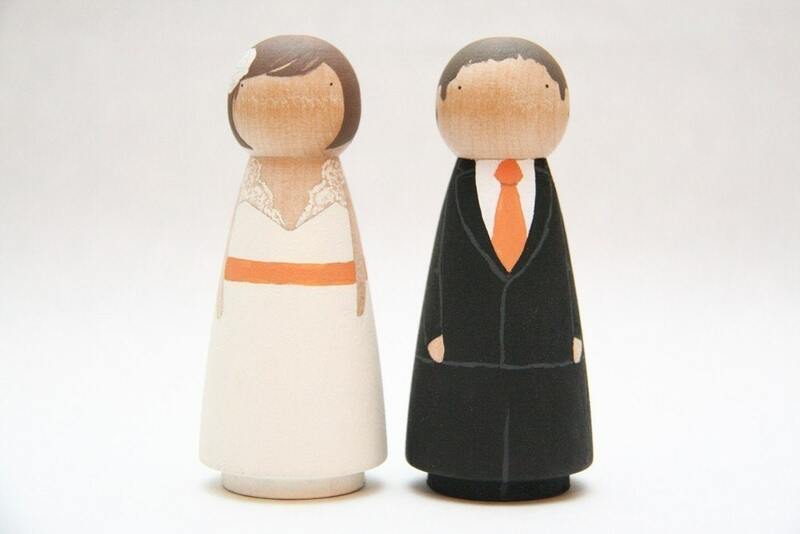 These are custom set of wedding cake toppers for our big day from GooseGrease. They customize hair and clothes, if you send them pictures! Ring bearer dish by Paloma's Nest. 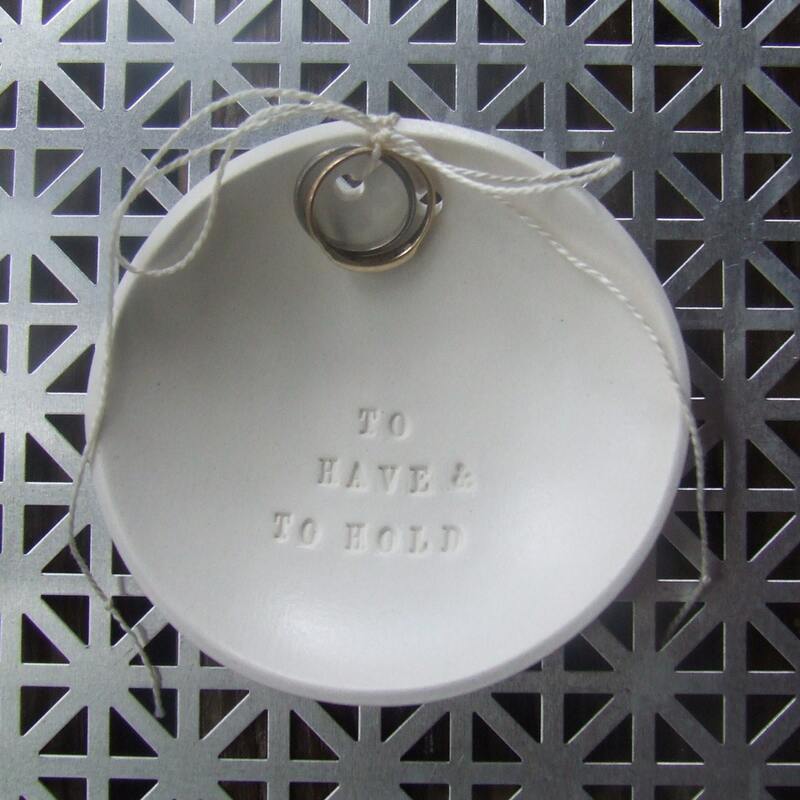 This little white ceramic bowl is hand crafted and stamped with the words TO HAVE & TO HOLD, they will customize it with our wedding date 9.12.2009.